I’m Hiring a New Salesperson, Do I Need a Non-Compete? Non-competes, also known as “covenants not to compete,” are restrictive covenants found in some employment agreements. A non-compete is an agreement between the employer and employee that restricts the employee’s right to compete with the employer for a set period of time after employment ends. Employers opt for non-competes most often in situations where they invest considerable resources in training employees, where employees are responsible for bringing in and building relationships with clients, and when the employer provides employees with access to trade secrets or other inside business information. In these and other similar circumstances, if the employee left, taking the skills, knowledge, and relationships he or she gained and went to work for a competitor, that competing business would have an unfair advantage. What is Included in a Non-Compete? North Carolina courts view non-competes with some skepticism and will refuse to enforce portions of non-competes deemed overly restrictive. Employers should consult with a licensed North Carolina attorney who has experience crafting solid non-competes to make sure the contracts they use do not violate North Carolina law or public policy. Good salespeople are the life force of many small businesses. Business owners carefully select sales staff and train them, depending on the salespeople to build relationships with clients and grow the business. Those great relationships with clients, however, can keep employers up at night worrying about what would happen if a key salesperson left—would he or she take all their clients with them? In order to prevent such client-poaching, an employer can include a non-compete among the restrictive covenants in the salesperson’s initial employment contract. Such non-competes must restrict no more than is necessary to protect the employer’s legitimate business interests. For example, a non-compete that forbids the salesperson from working in any capacity in the industry anywhere in the country for five years will likely not hold up in court. A North Carolina attorney with experience in employment and small business law can work with employers to draft precise non-competes tailored to their business’s needs. 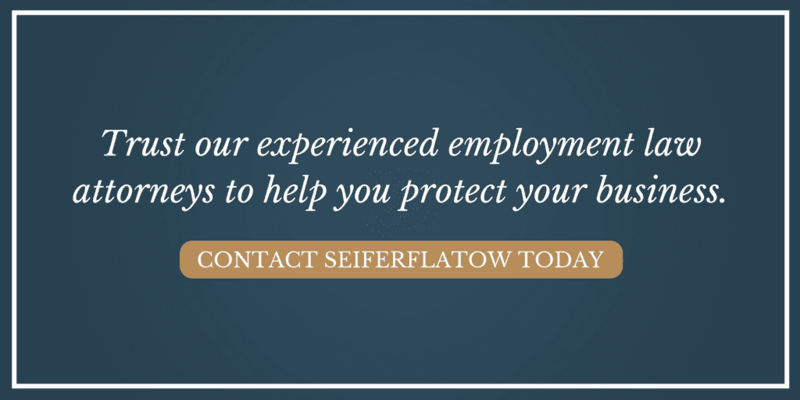 If a non-compete is part of your employment contract, or your business wants to protect their interests through non-compete agreements, contact our team of employment law attorneys to schedule a consultation.